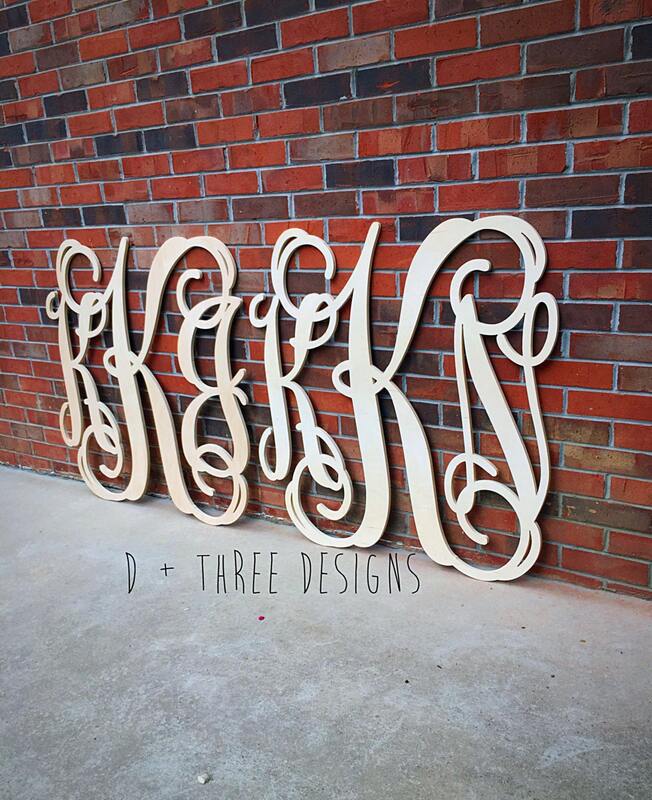 Personalized unpainted wooden monograms made just for you! 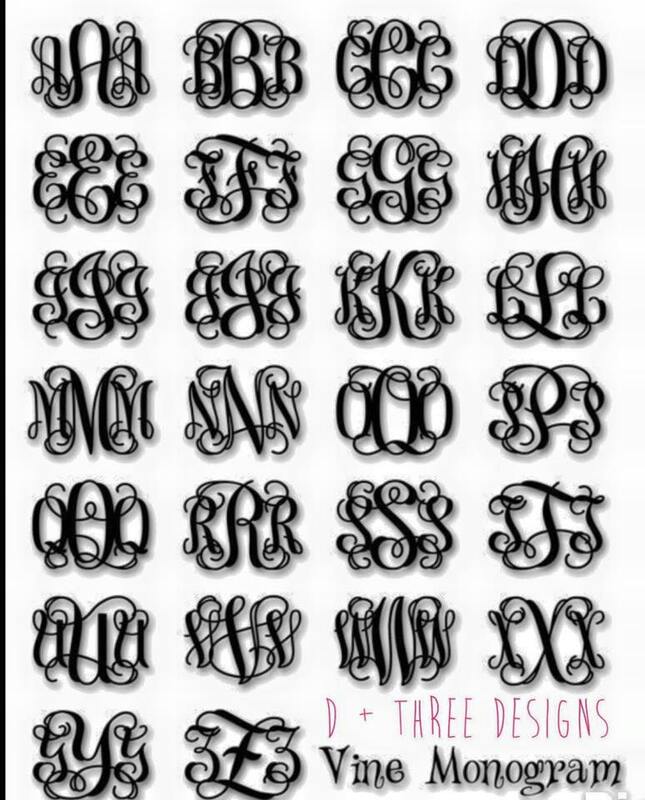 This monogram package comes with two 36” unpainted monograms. 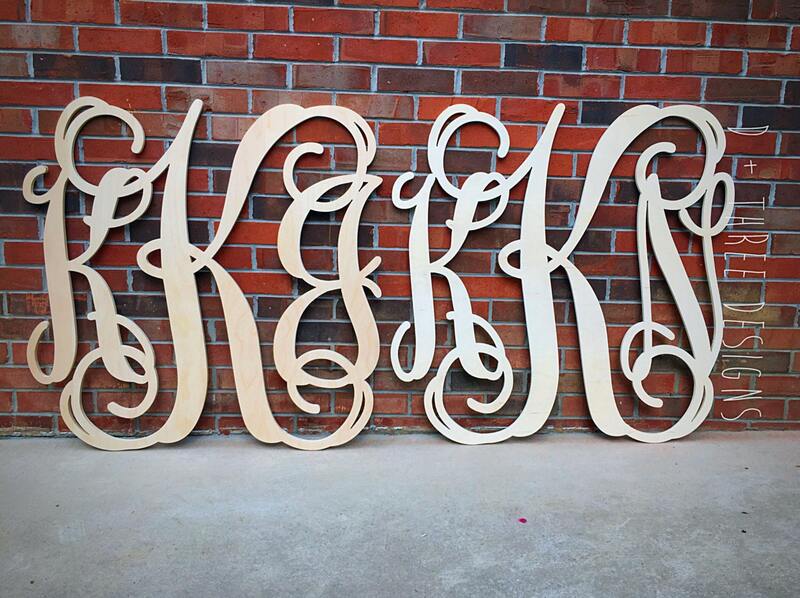 Your monograms will be cut from 1/2" quality Baltic Birch Plywood and comes lightly sanded. Additional sanding is recommended prior to painting. This design is elegant and classy. It’s a nice touch to your home décor, nursery, or for wedding décor. Orders are custom cut/painted as received so please allow us up to 1-2 weeks to make, sand, and ship your order.